We are continually seeking greater control of the peri-implant tissues and ultimately the aesthetics of the implant restoration. Implant/abutment designs allow us to consider immediate implant replacement, and non-functional loading especially in the aesthetic zone, where preservation of tissue is critically importance in order follow the principles of aesthetics by maintaining the elements which are already there. We have a multitude of techniques which will be reviewed, from the simple to the complex, which we can employ to preserve the aesthetic or create when tissue is initially lost. The author’s original MAC and ZAC protocols will be reviewed in depth. The principle focus of implant dentistry has changed significantly from the era of ‘Anatomically driven implant placement’ to the current practice of ‘Restoration driven implant placement’. When we now look at the failing dentition in the aesthetic zone we now must immediately consider conversion to implants. The challenge becomes how to create or how to maintain the hard and soft tissue thus ultimately designing the peri-implant aesthetics. Dr. Dwayne Karateew is a Clinical Associate Professor and the Director of the Advanced Education in Periodontology at UIC College of Dentistry in Chicago, where he is involved in both the education of the postgraduate Periodontology residents and clinical research. 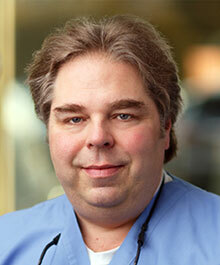 He is a Diplomate of the American Board of Periodontology and Implant Surgery. Dr. Karateew completed dental school at Columbia University School of Dental and Oral Surgery, New York City. This was followed by Certificates in Periodontics and Fixed Prosthodontics from the University of Pennsylvania. He has frequently presented on implant dentistry, written clinically relevant articles and served as Medical Editor for a reference book on 3-D imaging.